A lively and surprising novel about a Japanese woman with a closely guarded secret, the American daughter who strives to live up to her mother’s standards, and the rejuvenating power of forgiveness. Assimilating to a new culture is always a trial, but it is one Shoko thinks she is prepared for when she leaves her difficult life and heartbreak in Japan to marry an American GI. Little did she know that the pull of her home country and traditions will affect the rest of her life, as well as those of her daughter Sue and granddaughter Helena. When Shoko realizes that she is very ill and may soon die, she wishes to reconcile with her brother, who is still in Japan and whom she has not seen in fifty years. Pain from the past haunts her, and she wants to reunite with him, but age and illness prevent her from making the journey. She asks her daughter Sue to go in her stead. Sue and her mother have never had a close relationship. Sue has always misinterpreted her mother’s traditional Japanese mannerisms to be cold, and Sue herself is concentrating on raising her own preteen daughter. How to Be an American Housewife tells the story of these three women, their family, and their traditions. 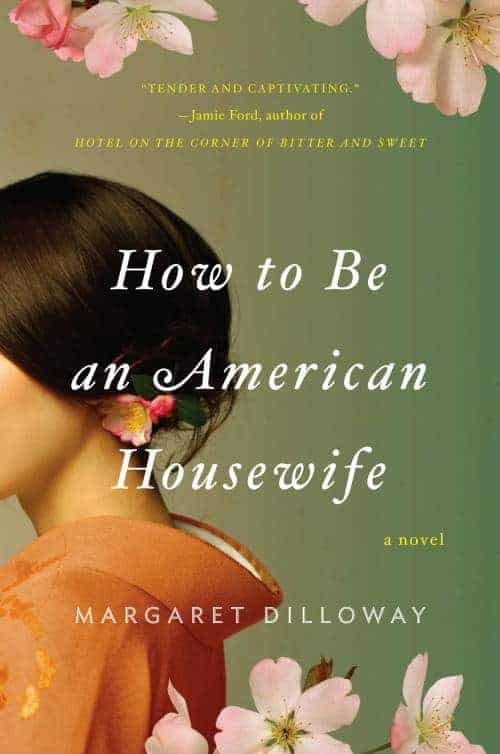 It is interspersed with excerpts from a fictional guide on how Japanese women should act once they have married an American, based on a real book of that type that the author’s mother received as a gift from her father. The story is touching and fluid, with well-developed characters. The author is insightful and helps the reader to truly understand and respect the characters and their decisions.